Jurassic World T-rex Dinosaur Birthday Party Balloon 31"
T-rex Birthday Party Balloon. 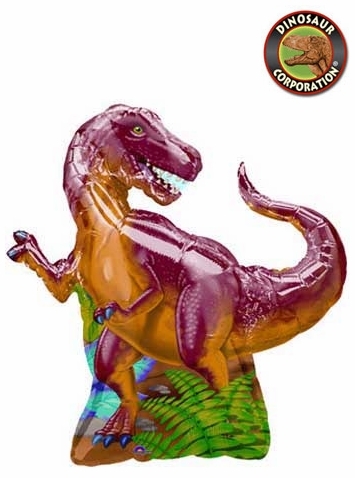 T-rex super shape foil dinosaur fun activity balloon creates a perfect prehistoric decoration for your birthday party. Kids love Tyrannosaurus rex from Jurassic World!